If you are Not satisfied with the results, we shall pay you Compensation of Rs.5,000/- for your time, presence and participation. NO QUESTIONS ASKED. Only condition is that you should have arrived in time at 9.30am and participated in the program till close. The above Fee Structure is for only one participant per Member Establishment. For Non-Members & Additional Participant from Member Establishments: Rs.5,000/- plus GST. To support Outstation Members, we shall provide the Complimentary overnight stay. Entrepreneurs/ Founders/ Co-Founders/ Directors/ Owners/ CEO/ Top Management/ Key-persons/ Second Generation of Leadership. Prior Registration and Confirmation is MUST. "Vision without action is a dream. 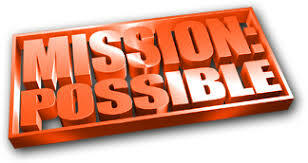 Actions, based upon Clear Vision and well-defined Plan bring miraculous results and make the impossible possible. Therefore, the first step towards great success is to have a very clear vision, goals and supporting strategy. Unfortunately, more than 90% SMEs remain at the mercy of external factors beyond their control and only struggle amidst uncertainties and remain contented with organic growth because they are not working pro-actively to build inner strengths, capacities, capabilities and risk mitigation, mainly because they do not have defined and documented business goals and thus, no clear roadmap. 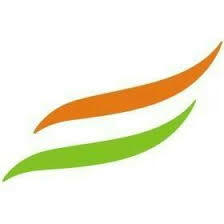 We believe that IamSMEofIndia members deserve big business growth. We also want our members to enter the new financial year 2019-20 with a clear vision, defined goals and strategy with full throttle and grow exponentially. This special program has been designed to make every entrepreneur realise their growth potential and focus on planned growth. The Long term, medium term and short-term goals.